Betty Mercer Arnold, loving wife, devoted mother, caring grandmother, great-grandmother and special friend, returned to her heavenly home on Sept. 26, 2018. She was born in a log house in Jones County, North Carolina, on Sept. 22, 1935. She was the fifth of 10 children born to Fred Leon Mercer and Eva Bynum. She was preceded in death by her parents and four of her siblings. She is survived by her sister Helen Boyd and brothers Paul, Roger, Johnnie (Melissa) and Freddie (Paula). She is also survived by her husband, Richard, and their five children: Michael J. (Kathy) Arnold, Michelle Arnold (Paul) Hayes, Richard M. (Heidi) Arnold, Randall J. (Angela) Arnold and Rodney M. Arnold, as well as 19 grandchildren and 16 great-grandchildren. Betty attended Jones Central High School, where she as a cheerleader and selected as the “most popular student” her senior year. She graduated in 1954. 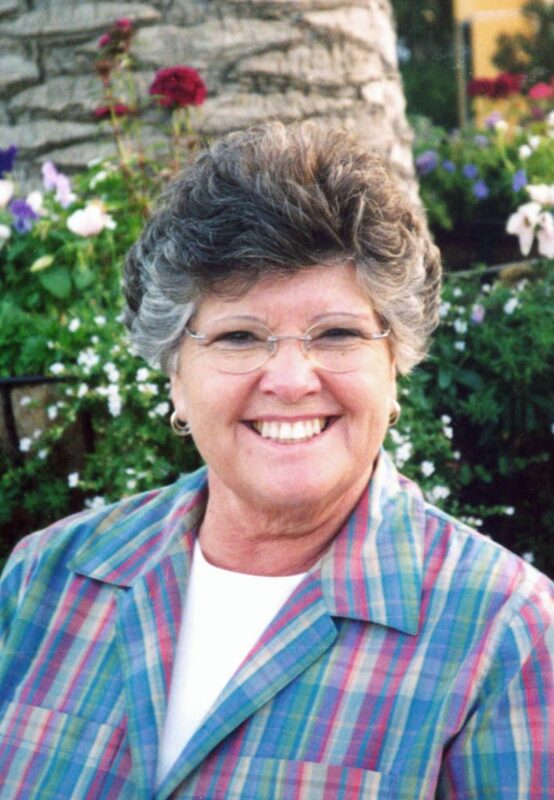 After graduating from high school, Betty moved to Provo, Utah, where she worked as a nurse’s aide at the hospital. Betty joined The Church of Jesus Christ of Latter-day Saints as a teenager. She served a mission in the Central Atlantic States from January 1958 until 1959. It was while on this mission that she met Richard Arnold. For him, it was “love at first sight.” Following their releases and a courtship period, they were married in the Salt Lake City LDS Temple on Dec. 28, 1959. They became the parents of five wonderful children, grandparents of 19 and great-grandparents of 16 precious children. Betty’s family was her greatest treasure. Her love and devotion for them was endless and through them she felt she accomplished the mission she was intended to fulfill. Betty loved to serve. She was a most giving person and always put others first. She was totally unselfish and freely forgiving. She loved easily and therefore was genuinely loved by others. She served faithfully in the church, having callings from Relief Society president to nursery leader (which may have been her favorite calling). She served as an ordinance worker in both the Dallas, Texas, and the Seattle, Washington, temples. Betty loved to work outside in the garden and with flowers. It could be said of her that she had a “green thumb.” She enjoyed watching basketball and was an avid Jazz Fan. She also loved balloons and at one time owned and operated a balloon business. We express appreciation to the caregivers at Brookdale and Spring Gardens for the care provided to her as she dealt with the challenges associated with dementia. Also, our thanks to Integrated Senior Care for the hospice care and to Metcalf Mortuary for their assistance in making final arrangements. Funeral services will be held Thursday, Oct. 4, at 11 a.m., at the Cotton Manor LDS Ward Chapel, 2583 E. 350 North, St. George, Utah. Visitations will be Wednesday, Oct. 3, from 6-8 p.m., at Metcalf Mortuary, 288 West St. George Blvd., and Thursday, prior to service, from 9:30-10:30 a.m. at the church.